Yadin Park is a talented alt-country musician whose career has floundered-doomed first by his homely looks and lack of stage presence and then by a progressive hearing disorder. His girlfriend, Jeanette Matsuda, might have been a professional photographer but for a devastating heartbreak in her teens. Now Yadin works for Jeanette's father's carpet-laying company in California while Jeanette cleans rooms at a local resort. When Yadin's former lover and musical partner, the celebrated Mallory Wicks, comes back into his life, private hopes and dreams are exposed and secret fantasies about love and success are put to the test. 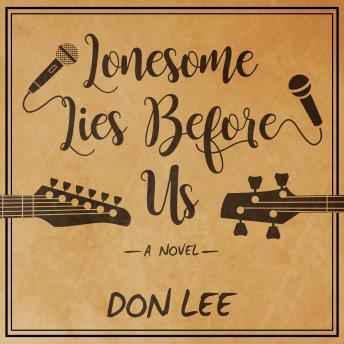 Beautifully sad and laced with dark humor, Lonesome Lies Before Us is a profound, heartfelt romance, a soulful and memorable song.